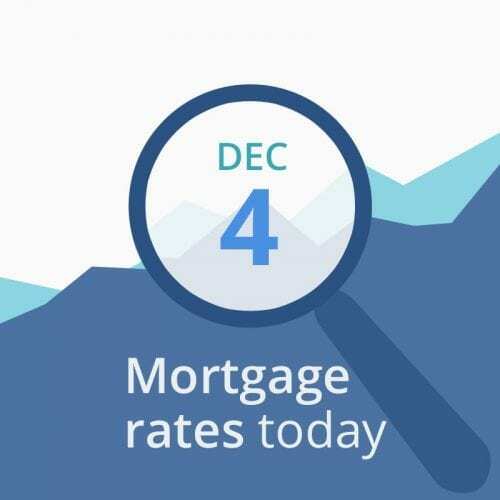 Average mortgage rates this morning are lower! The news of Trump’s possible ending of the trade war with China initially produced a surge in the economy, which is bad for mortgage rates. But this optimism later evaporated as more bad news for the President surfaced with the Mueller investigation. Economies don’t like instability, and fearful investors tend to exit stock markets and park their money in bonds and mortgage-backed securities (MBS), which pushes interest rates lower. We have no economic reporting this morning, and today’s data (below) point to falling rates. Financial data are point mostly to lower rates. You may be able to get a better deal by waiting to lock. But if you are closing soon and can grab a low rate this morning, you should probably pull the trigger and lock. Mortgage rates have been coming down lately, but this trend is likely to be short-term, and eventually swallowed up by increases. If your closing is still a few weeks out, you may want to float and get into a better tier (for instance, drop from a 45-day lock to a 30-day, or a 30-day into a 15-day lock). But if closing soon, current rates are attractive enough to feel good about. This week offers fewer reports, but Tuesday and Thursday’s consumer-related data are important. Stay in contact with your lender if you’re still floating a rate.